It seems as if I didn’t get to keep up with this blog as I thought I would! My second year would have really been one to write about too! So here I go making another attempt at sharing, documenting, and just plain talk about what it is I do. I just finished attending the Rigor, Relevance and Relationships Conference in Cy-Fair ISD this week. I attended last year and was pretty impressed with the conference. This year it was inspirational as was expected. I also got many ideas to put into practice this coming year. The opening session began with Dave Carroll. Until this week, I unfortunately had not heard of him. Apparently, he had a bad experience with United Airlines and turned his experience into a social media wave. His message on social media and how it can affect a business or organization was a good one. His book United Breaks Guitars was written after his You Tube video went viral. The midday keynote speaker Adam Saenz was inspiring and powerful to say the least. He was a young man always in trouble and he stood by us today telling his story of how he managed to get through high school, college, masters program and 2 doctoral degrees. What would have been a statistic, he turned his life around and learned that all the bad in his life was not his fault. His journey began with the inspiration by two encouraging notes given to him by two different teachers his last week as a senior in high school . He had the power to change and he did. He later went on to write the book The Power of a Teacher. Eric Cupp was another inspiring presenter. He spoke on Capturing Moments and The Blessing. His basic message was forming those relationships with students and emphasizing how important it is to show you care. Capturing Moments lend itself to paying attention to the moments in your life. They are happening everyday and throughout your day. It’s just a matter of you capturing them. I left his presentation feeling uplifting to go out and conquer. I got to also sit in on a session from Kathy Seigel from Florida. She presented on Instructional Leadership. She was quite motivating and made the role of the instructional leader seem simple. Well, the steps needed to take to be more successful as an instructional leader seemed simple. However, it will take work and motivation. She also had some quick little movement activities to use during any staff development to keep your audience involved. Another inspiring presentation nonetheless. One last presenter from San Antonio was Jo Mascorro. She spoke on student behavior and gave us strategies on how to change it. She had to be the most fun to listen to as she was hilarious and spoke lots of truth! Very straight forward and entertaining. Lots of good information and “a ha” moments! Loved it! I got to visit with a few other presenters, however these are the ones that left an impression on me. I really enjoyed my week with the RRR conference. Can’t wait to put some of what I learned into what I do. 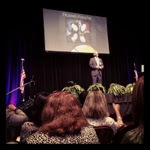 Thanks again Cy-Fair ISD for hosting a great conference! My upcoming post topic I am currently working on: starting the year on a positive step! I will be sharing some of the ideas I will be doing for my staff at the start of the year and the vision I have for the new year. More to come! Going on my third year here and I am really pumped and ready for the the year’s challenge! I don’t know what is different from last year only that I have another year under my belt. It feels good! Well, in the meantime, I will be having some downtime and rest with my family. 🙂 That is one lesson I learned early on….make time for family.